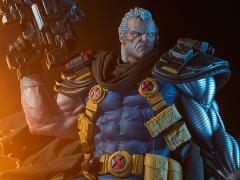 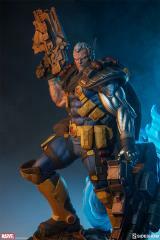 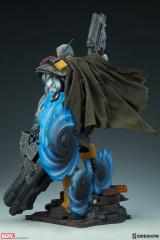 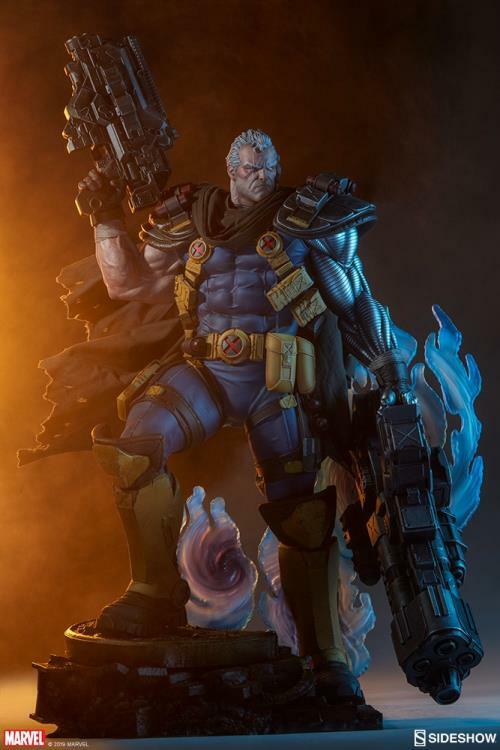 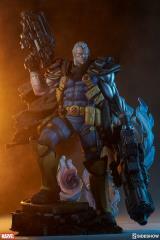 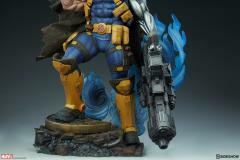 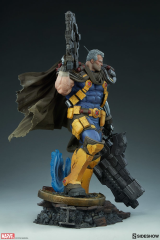 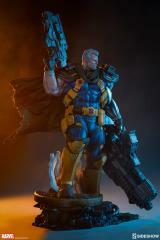 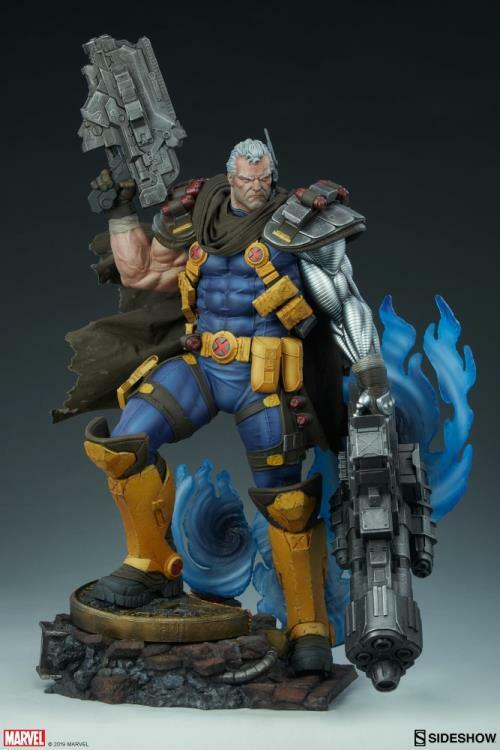 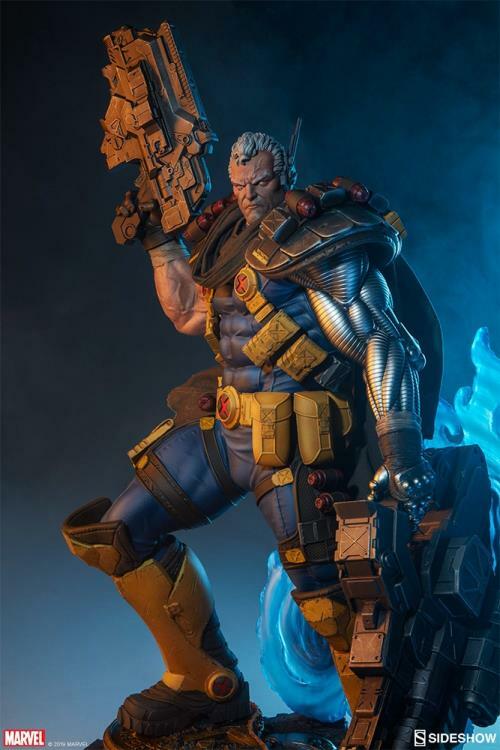 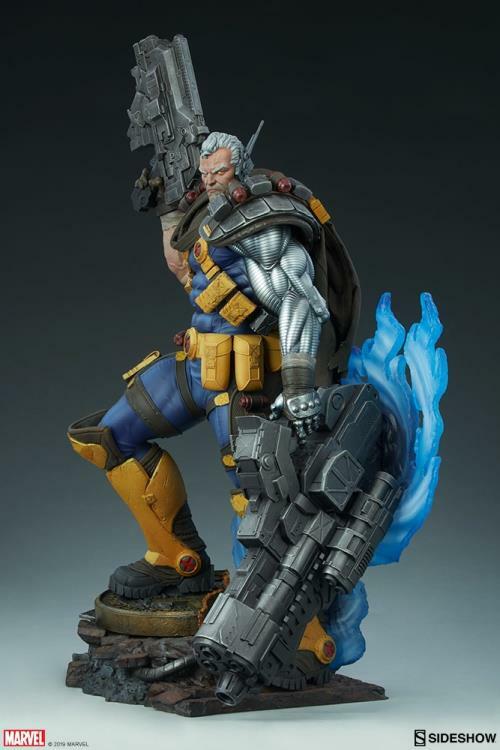 The Cable Premium Format Figure measures 24.5” tall as the time traveling mutant warrior emerges from interdimensional portals onto an apocalyptic Xavier’s School base. He stands on the destroyed academy seal, while remnants of Cerebro and Wolverine’s cowl hide among the rubble. 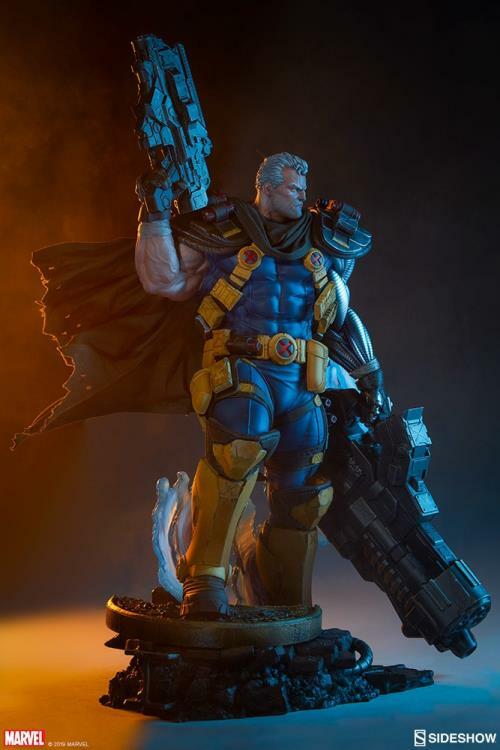 The polyresin Cable Premium Format Figure features a sculpted costume, which captures the strength of his techno-organic physique. His blue and yellow uniform is decked out with armor plating and utility pouches, all detailed with weathering from his travels through time. 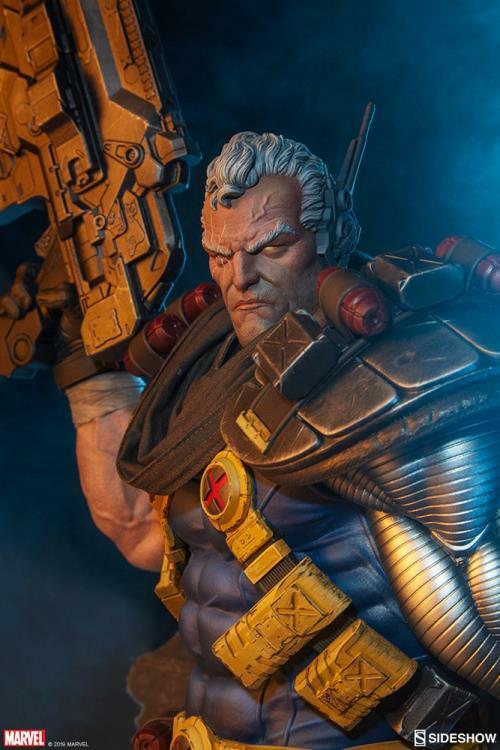 Cable is armed with a variety of heavy artillery and he has a scarred portrait with a cybernetic eye as reminders of the grim future Nathan Summers has witnessed.